Innovative Technologies & the Facade Building Process: Two "Can't Miss" Workshops at facades+ on 7/12! 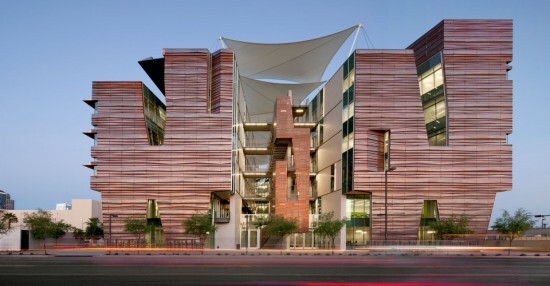 - Archpaper.com Innovative Technologies & the Facade Building Process: Two "Can't Miss" Workshops at facades+ on 7/12! Innovative Technologies & the Facade Building Process: Two “Can’t Miss” Workshops at facades+ on 7/12! This year’s facades+ PERFORMANCE conference features an exciting line-up of Dialog Workshops. Here are two that you won’t want to miss! On paper, the steps involved in creating and delivering a high-performance building facade seem relatively simple. In reality, unforeseen changes in cost and scheduling often complicate the process and hinder it’s timely completion. At our facades+ PERFORMANCE Conference in San Francisco on July 12th, Alex Korter and Kevin Kavanagh from CO Architects, winners of the 2013 BIM Awards, will present the “Breaking Facades: Why Process is Often More Important Than Materiality” Dialog Workshop. Through a step by step analysis, the pair will explore the process of creating and delivering a high-performance building facade, from beginning to end. By participating in this morning workshop registered architects will earn 4 LU AIA CE credits! Don’t miss this opportunity to learn helpful tips in dodging obstacles and successfully navigating the creation and delivery of the intelligent facade from leading industry experts. In order for architects and engineers to remain on the cutting-edge of technology they must incorporate innovative design technologies and materials into their high-performance facades. The “Intelligence Facades” afternoon Dialog Workshop will be coordinated by Brent Vander Werf of Tripyramid Structures, who has carefully selected a team of leading architects and engineers including Jason Vollen of The Center for Architecture Science and Ecology (CASE), Benjamin Hall of benjamin hall design+build, Francis O’Neill of Colt Shading, and Anthony E. Birchler of Zahner to lead to this stimulating workshop dialogue. Through case studies and demonstrations they will explore novel technologies, from bi-laminated materials to light sensing components, with the goal of quantifying performance metrics and calculating the impact that adaptive facades have on contemporary designs. By participating in this workshop attendees will not only get the chance to learn directly from renowned professionals but they will also earn 4 LU/HSW AIA CE credits. Learn more about our workshops and register for our facades+ conference here!